Hello fellow cannabis consumers, my name’s Yasmin. I’m a Londoner who decided to say goodbye to crappy weather (and Britains drug laws), and say hola to Barcelona sun and decriminalisation. 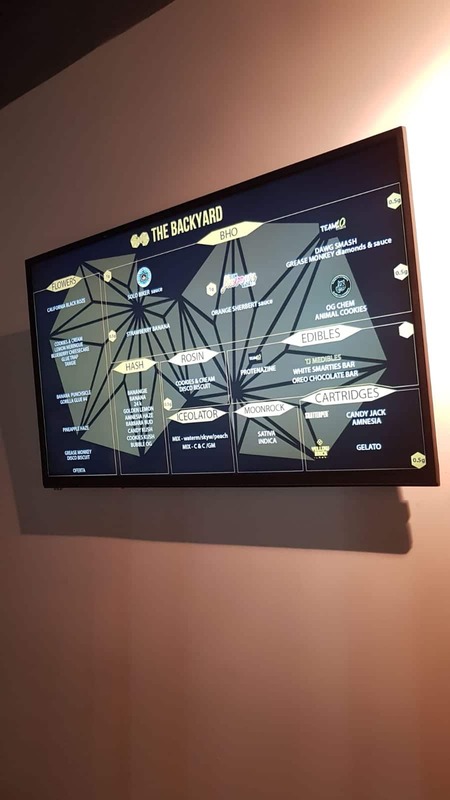 Located in a discrete area of the San Antoni district of Barcelona, The Backyard is perfectly placed within walking distance back to the crowds of La Rambla, with metro and bus links also at its doorstep. As well as being surrounded by chic coffee shops, it’s most importantly 4 minutes walk from some authentic stone baked Italian pizza! Although one of the smaller associations in terms of space, the size does not take away from the comfort, but gives it more of a personal feel, alongside a relaxed and cosy vibe. Reggae music is often the genre of choice at this association consistent with the chilled atmosphere. 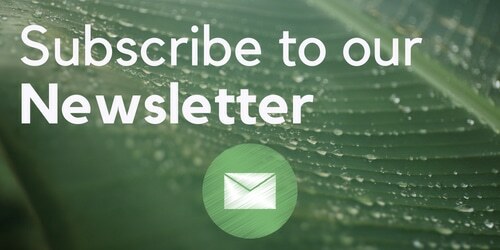 If you’re into dabbing or bongs, the necessary equipment is available for use by request, something which is generally standard in Barcelona cannabis clubs. The employees have expanded since I first joined with a friendly and multi-lingual team always happy to help and answer questions you may have. The owners often have their friendly dog on-site and you will often find members sometimes bring their dogs along too. This is great because who doesn’t like to play with dogs when they’re high? Not forgetting snacks – the general chocolate and crisps are available alongside hot and cold drinks including beer. 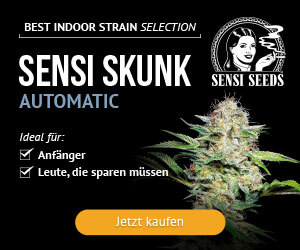 The menu itself offers a good choice of flowers, favouring mostly Indica and hybrids over Sativas. 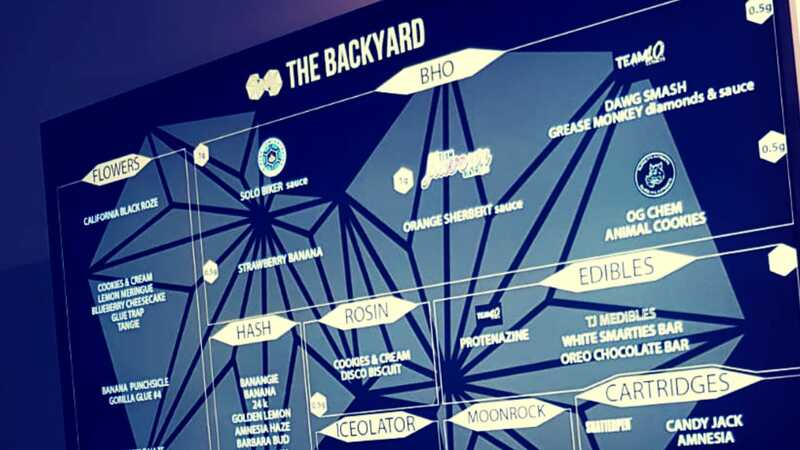 It often rotates, giving you a chance to try new flavours, but beware, if you find a strain you love you should stock up as there are some strains that don’t always appear back on the menu for a while. My personal favourite at The Backyard BCN has been the Peyote cookies, a delicious indica strain that gives an earthy and berry taste with a happy and relaxed high. This was a strain i kept going back for, but has not been on the menu for a while now. A strain that has held solid place on the menu for some time now is the Underdog OG – one of my go to’s with a great price tag. 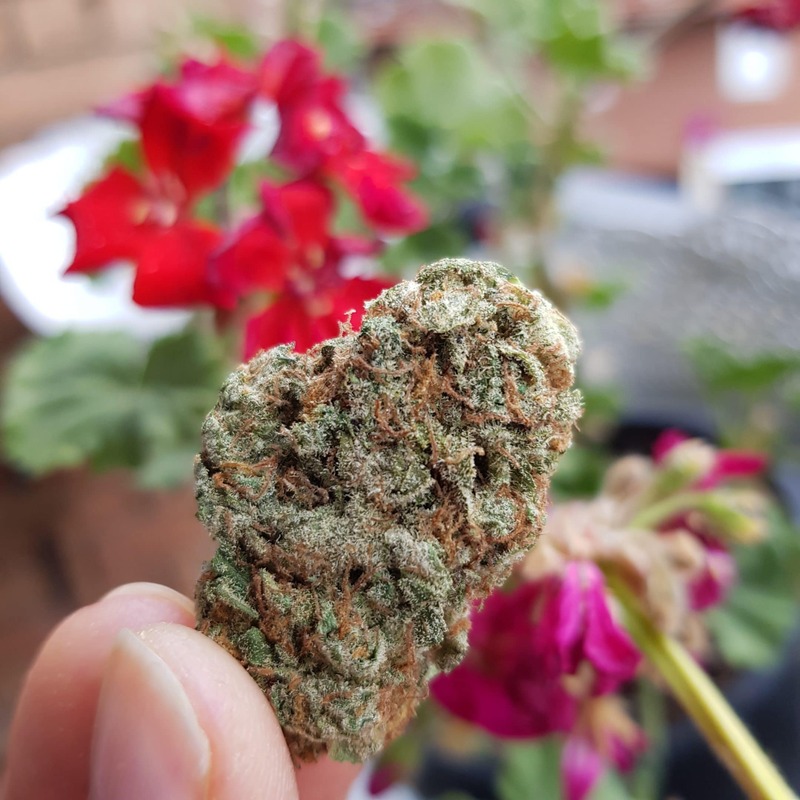 My most highly recommended sativa at The Backyard Association BCN is Tangilope; its strong citrusy tropical smell is mouth-watering and the tastes is just as good. 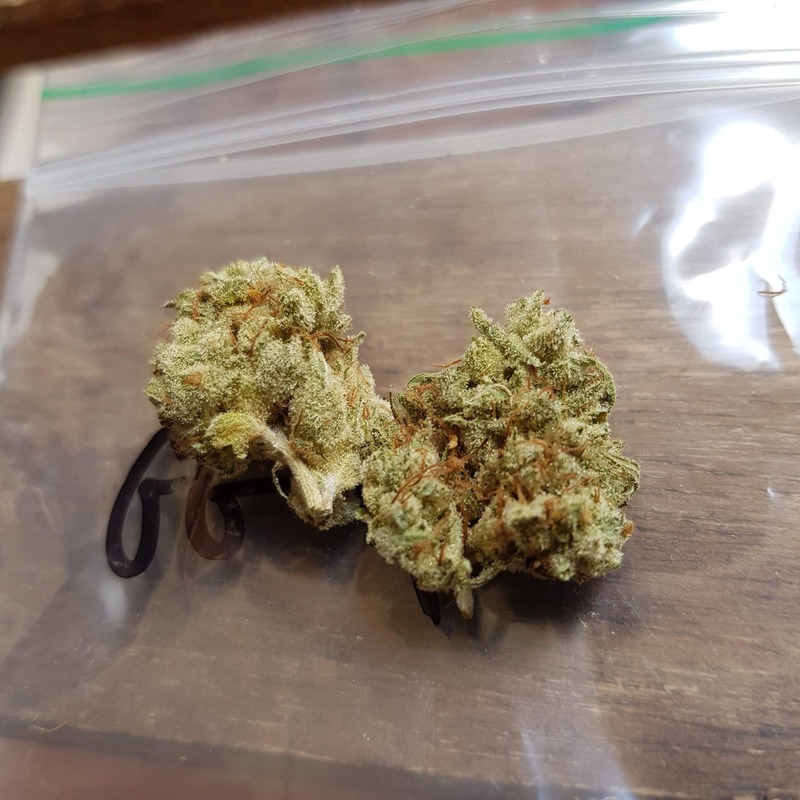 When i find myself wanting to switch it up a little I turn to their pungent sweet Pineapple haze as a second favourite. 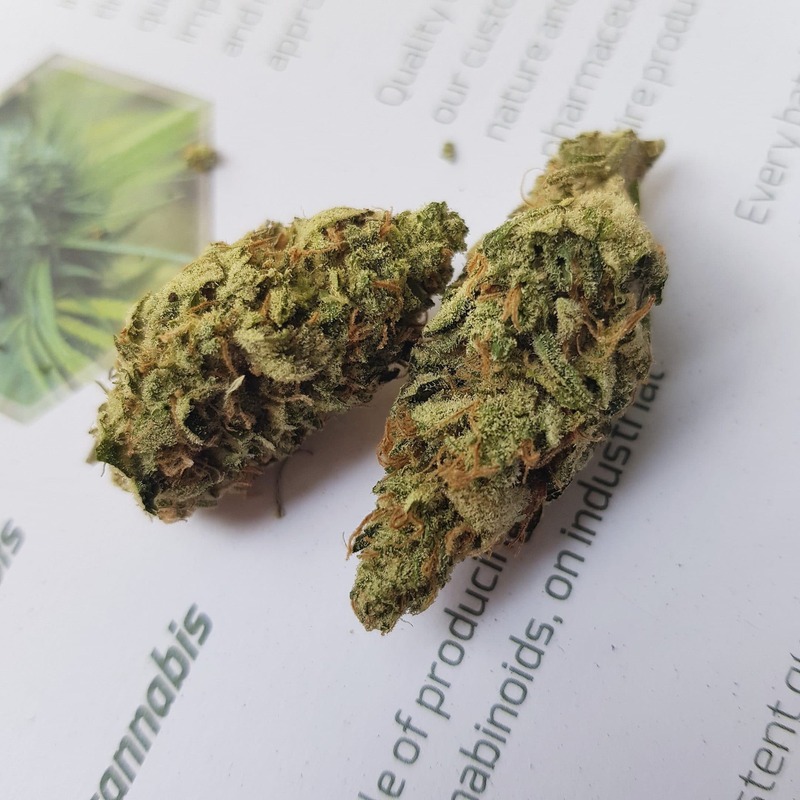 I tend to stick to the lower section of the menu, avoiding high priced pop tops, and generally won’t pay more than €11 per gram so these strains are great value for money. For those who prefer oils or hash you can also find a decent variety on the menu. Overall The Backyard is a great place to chill out with a few friends or even alone with a laptop or a book. As a bonus it’s never overwhelmingly crowded, so you’ll often be able to find a comfortable spot to smoke. The Menu has a great variety. If you’re looking for a range of sativas the options are perhaps more limited, but the quality of the these makes up for the lack of choice. I’ll be back with another BCN Cannabis Association review soon!